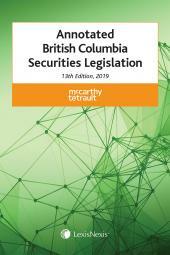 This book provides essential information for practitioners dealing with securities laws in Ontario, including full text of the Ontario Securities Act, Ontario Securities Commission Rules, Policies, and Notices, National Instruments and Policy Statements, and Rules of Procedure. 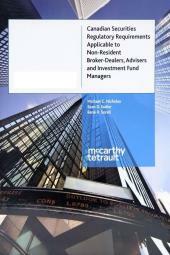 It also provides current changes to the Ontario securities regulatory scheme, plus extensive annotations from Canada's top securities law experts at McCarthy Tétrault LLP. Sean Sadler is a partner in the Securities Regulation & Investment Products Group of McCarthy Tétrault LLP in Toronto. Since joining the firm in 1989, he has been primarily engaged in a securities trading and adviser regulation practice. René Sorell is a partner in the Business Law Group of McCarthy Tétrault LLP in Toronto. He practises almost exclusively in the area of securities law. Andrew Matheson is a partner in the Litigation Group of McCarthy Tétrault LLP in Toronto. 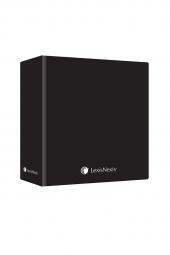 He specializes insecurities litigation, white collar and regulatory defence and cross-border matters. Patrick Boucher is a partner in the Business Law Group of McCarthy Tétrault in Montréal. He practices in the areas of securities and corporate law, concentrating on mergers and acquisitions, take-over bids and public financings.